With food, medicine and safe water already in short supply, a devastated nation prepares for a crippling blockade. Saudi coalition forces faced off against Houthi rebels for control of the Yemeni port city of Hodeida earlier this week, jeopardizing the delivery of urgently needed humanitarian assistance for millions of already desperate Yemeni citizens. 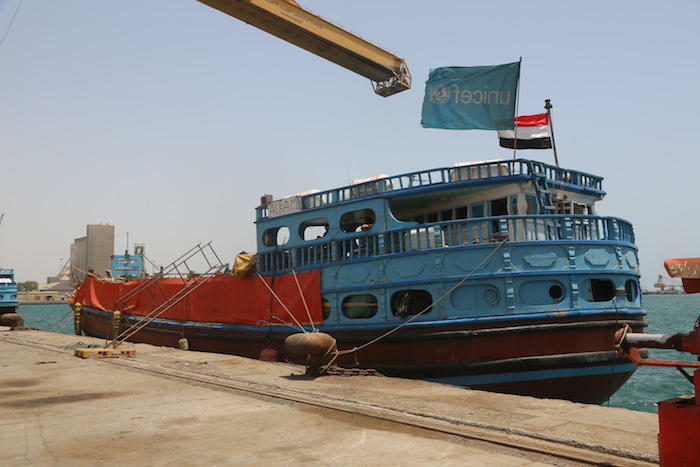 "UNICEF teams delivered antibiotics, syringes, IV fluid, Ready-to-Use Therapeutic Food and hygiene kits to our local partners in Hodeida just days ago," UNICEF Executive Director Henrietta H. Fore said on June 12. "But this will only last so long. Should the security situation worsen, our capacity to respond will be severely hampered." Millions of children throughout Yemen depend on the humanitarian and commercial goods that come through the port on the Red Sea. "Without food imports, one of the world's worst malnutrition crises will only worsen," Fore warns. "Without fuel imports, critical for water pumping, people's access to drinking water will shrink further, leading to even more cases of acute watery diarrhea and cholera, both of which can be deadly for small children." Chronically underdeveloped, devastated by eight years of deadlocked civil war, Yemen is facing one of the world's largest, most complex humanitarian crises. More than 11 million children are in desperate need of humanitarian aid. Two million people have been forced out of their homes by conflict. Half the country's health centers are closed, and those that remain open are overcrowded and understaffed. One out of three girls are not in school. Eight million of Yemen's estimated 28 million people are at risk of starvation. UNICEF has been on the ground since the crisis began, working closely with partners to provide lifesaving assistance and services. In 2017, UNICEF vaccinated 5 million Yemeni children against polio and 912,000 against measles, provided 5.5 million people with safe drinking water, disinfected and treated water for 3.4 million people living in cholera-affected areas and treated nearly 227,000 children suffering from severe acute malnutrition. UNICEF rehabilitated schools for 639,000 children, opened safe learning spaces benefitting 552,700 children and provided psychosocial support to more than 594,000 children. If port activities are suspended in Hodeida, Yemen's fourth largest city, the effects will be catastrophic for nearly 70 percent of the population in Yemen's northern provinces. Staffers in UNICEF's Sanaa office are coordinating emergency response plans with partners and prepositioning essential supplies to ensure continuous delivery of life-saving services. The situation in Yemen is very dire. Hodeida already has one of the country's highest malnutrition rates. "We urge all parties to the conflict and all those who have influence over them to put the protection of children above all considerations," says Fore. "Every effort must be made to keep children safe and to provide them with the health, protection, water, sanitation, nutrition and education services they desperately need. Aid distribution should continue unimpeded and civilians wishing to move to safe areas should be allowed to do so. "I welcome current diplomatic efforts to avert a full attack on Hodeida. Peace should be given a chance. The children of Yemen deserve nothing less." 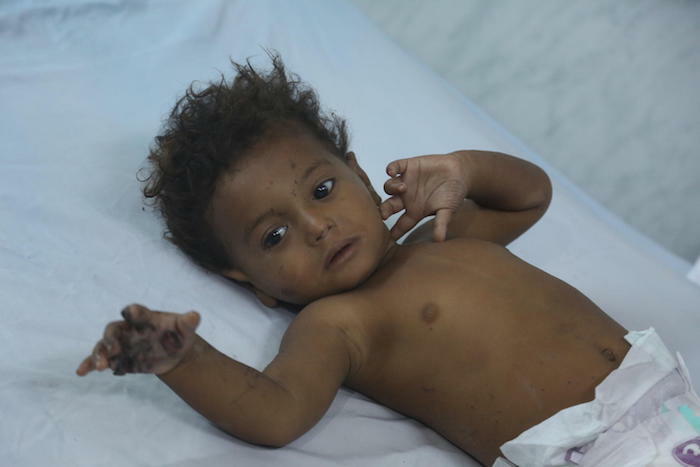 Please help Yemen's most vulnerable children today.